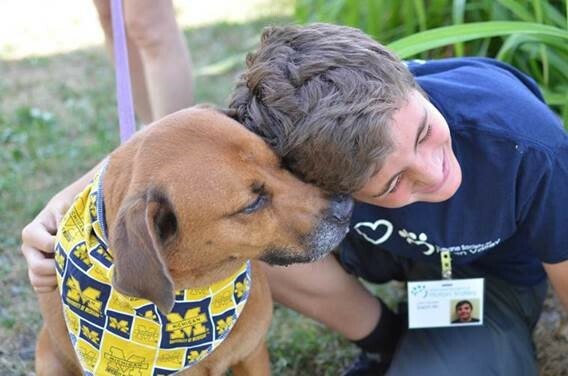 Celebrating youth who are making a positive impact on the lives of animals in Washtenaw County, Plymouth and Northville, HSHV is launching their first ever local award. One winner and two runners-up will receive the Humane Youth Award. All will receive one-of-a-kind plaques, and the winner will be recognized at HSHV’s elegant Compassionate Feast banquet on November 9th—a fundraiser and roast of local celebrity and best-selling author John U. Bacon. Winners will be selected on the basis of how they’ve helped local animals, the number of animals and how long they’ve helped, and the uniqueness and sustainability of their project(s). Nominees must be between the ages of 12 and 17 and reside in Washtenaw County, Plymouth or the city of Northville. Nominate someone at www.hshv.org/hya. Nominations close September 28 at 4 p.m.